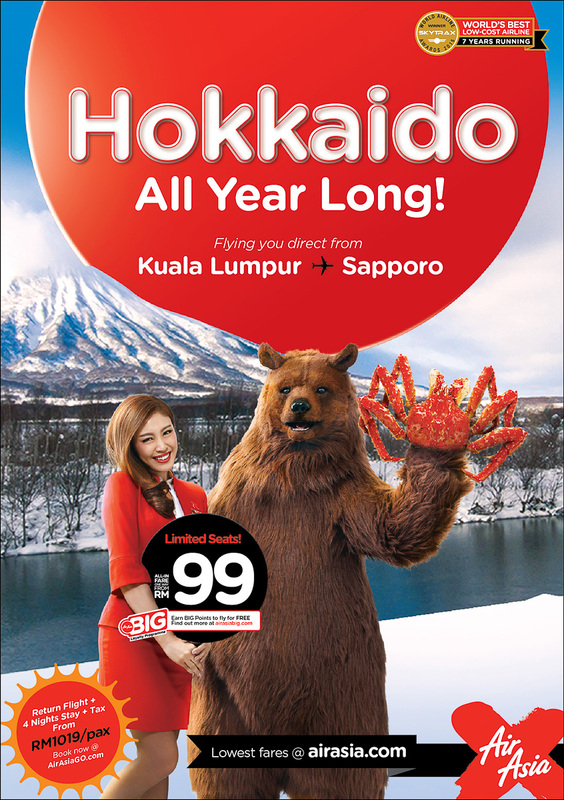 In a further expansion of routes, AirAsia X is due to start direct flights from Kuala Lumpur to Sapporo-Shin-Chitose starting 1st October 2015. The four times weekly flights will depart Kuala Lumpur (KUL) as D7 550 every Tuesday, Thursday, Saturday and Sunday at 11:35pm, arriving in Chitose on the northern Japanese island of Hokkaido at 8:10am the next morning. 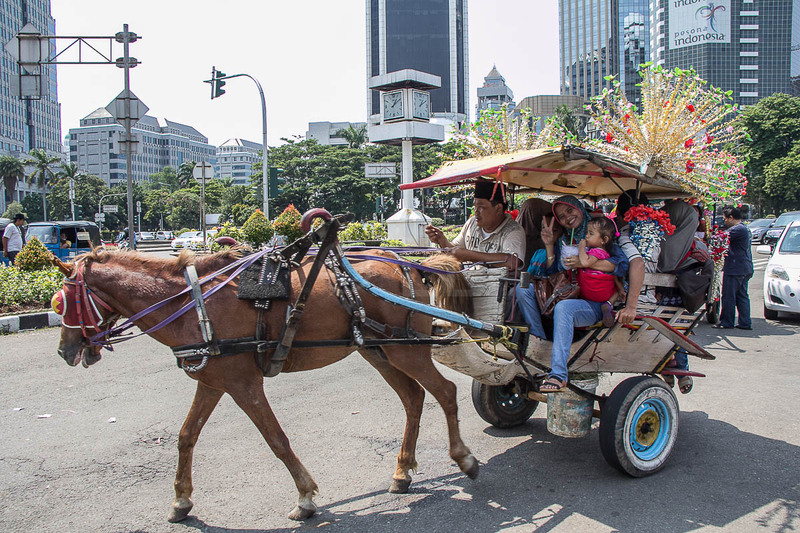 The return flights D7 551, will depart Chitose (CTS) at 9:20am on Monday, Wednesday, Friday and Sunday, landing in Kuala Lumpur KLIA2 at 5:00pm. 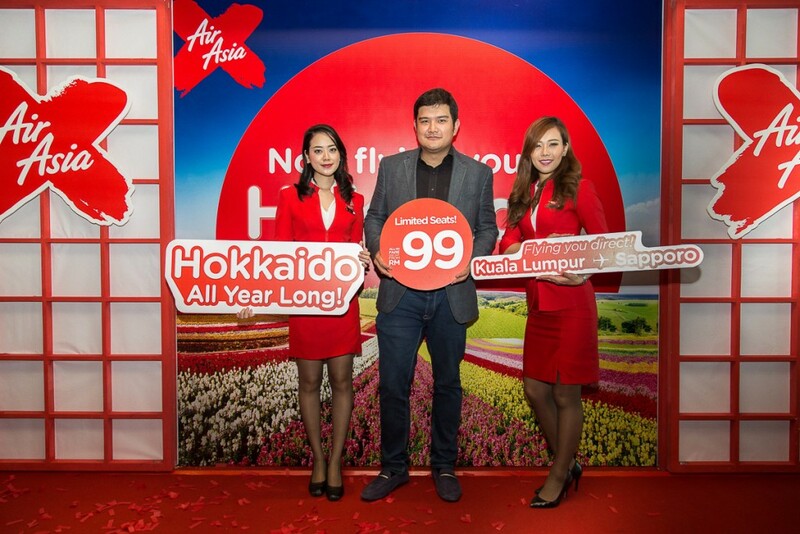 In conjunction with the launch of the route, AirAsia X will be offering promotional all-in one-way Economy fares starting at RM99 and Premium Flatbed seats from RM999 one way. These promotional fares which are inclusive of taxes, are available for online booking until 2nd August 2015 for travel between 1st October 2015 and 31st August 2016. Book your tickets online at the AirAsia website, using AirAsia mobile apps on iPhone and Android services or AirAsia’s mobile site. AirAsia X Berhad currently flies five times weekly from Kuala Lumpur to Osaka with daily flights to Tokyo. 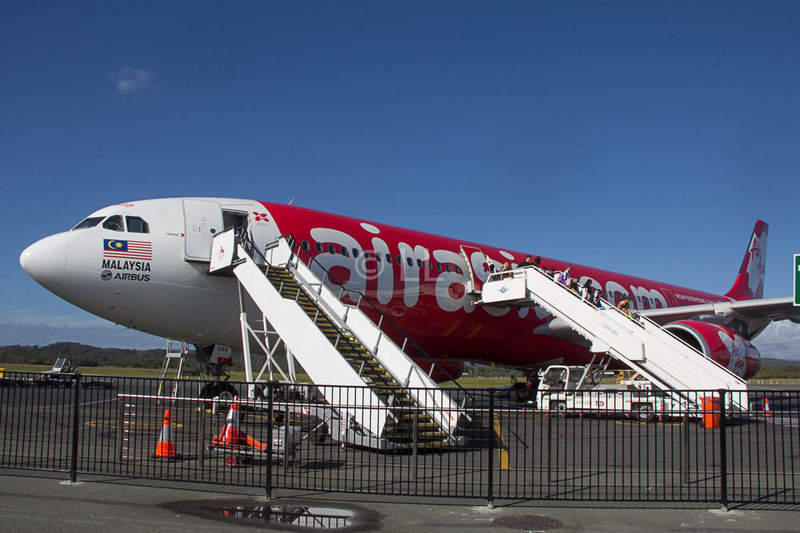 AirAsia have also announced the implementation of a Fast Track Counter for Premium Flatbed and Premium Flex passengers which allows them to clear Immigration at the Fast Track counter at KLIA2 for both arrivals and departures.